The John F. Kennedy Center for the Performing Arts today announced the selection of four Honorees who will receive the 2018 Kennedy Center Honors for lifetime artistic achievements, and a special Honors distinction for a work of art and its co-creators. 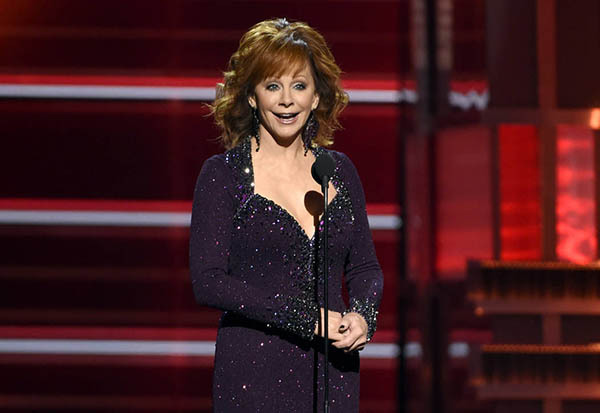 Recipients to be honored at the 41st annual national celebration of the arts are: singer and actress Cher, composer and pianist Philip Glass, Country music entertainer Reba McEntire, and jazz saxophonist and composer Wayne Shorter. This year, the co-creators of Hamilton — writer and actor Lin-Manuel Miranda, director Thomas Kail, choreographer Andy Blankenbuehler, and music director Alex Lacamoire—will receive a unique Kennedy Center Honors as trailblazing creators of a transformative work that defies category. “The world looks to America for its creative instincts and artistic courage. This year’s slate of Honorees represents the pinnacle of our nation’s originality and the rich mosaic of diverse perspectives and art forms that has come to define who we are as a people,” said Kennedy Center President Deborah F. Rutter. Throughout its 40-year history, the annual Honors Gala has become the highlight of the Washington cultural and society calendar, and its national broadcast on CBS is a high point of the television season. On Sunday, December 2, in a star-studded celebration on the Kennedy Center Opera House stage, produced by Ricky Kirshner and Glenn Weiss of White Cherry Entertainment, the 2018 Honorees will be saluted by today’s leading performers from New York, Hollywood, and the arts capitals of the world. Seated in the Box Tier of the iconic Kennedy Center Opera House, the Honorees will accept the recognition and gratitude of their peers through performances and tributes. The 2018 Kennedy Center Honors Gala concludes with a dinner in the Grand Foyer. The Honorary Chairs of the 2018 Honors Gala are Buffy Cafritz and Ann D. Jordan. The Kennedy Center Honors medallions will be presented on Saturday, December 1, the night before the Gala, at a State Department dinner. The Founding Chair of the State Department dinner is Elizabeth Stevens. The Honors Gala will be recorded for broadcast on the CBS Network for the 41st consecutive year as a two-hour primetime special on Wednesday, December 26 at 8 p.m. ET.